Yes, it is possible to eliminate the inevitable wrinkles and sagging that come along with aging. 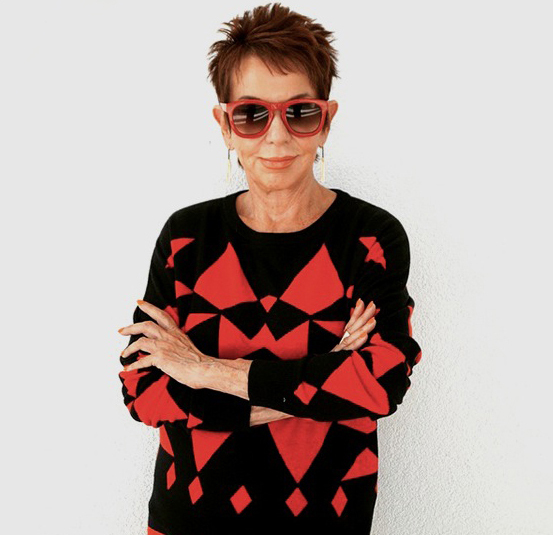 Many Hollywood stars have managed to stay looking the same for the last twenty five years or more because they are privy to the best products on the market. There is a wide array of treatments and cosmetic procedures available that have made it possible to stop the clock, but at a cost that few of us can afford. I freely admit to having used Botox, fillers and lasers treatments to improve the quality of my skin. The results are effective, but costly. So the question becomes, is there a less expensive alternative that gets similar results? As a self-confessed “product junkie” I never stop looking for outstanding products that could potentially replace costly cosmetic procedures. In my search I have found a wonderful, affordable line that gives dramatic, temporary results. 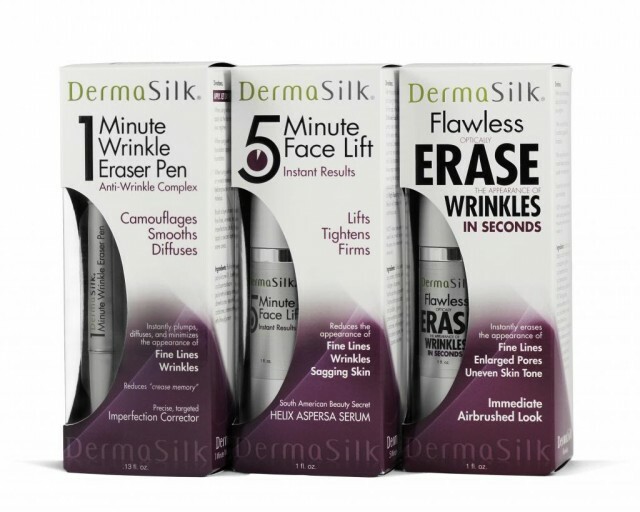 DermaSilk products do exactly what they claim. The results are immediate and last about eight hours. I use a number of their products on a daily basis and have been incredibly impressed with their effectiveness. Depending on your individual needs you may want to use one, or a combination of Derma Silk products. Each product should be used sparingly on clean dry skin prior to applying your moisturizer or any makeup. My individual regimen is as follows: the first product I apply is Derma Silk 5 minute Face Lift. I apply a pea size amount sparingly to neck, jaw line and face, massaging it in, in an upward motion. I then allow it to dry for five minutes. During that time you will actually feel your skin tightening. I then apply the same amount of 1 minute Collagen Lift, which acts to smooth the appearance of fine lines. For a more sculpted jaw, I apply a dime size amount of Derma Silk Triple Sculpting Cream across the jaw line and wait a few minutes for it to dry before applying my moisturizer and makeup. After my makeup is applied, I check to see if I can see any enlarged pores or skin imperfections. If I do, I pat on a very small amount of Derma Silk Flawless Erase with a Q-tip, which instantly erases any flaws. Lastly, as a final touch, I apply Derma Silk 90 second eye lift over my makeup. I use this very sparingly on the tip of my finger, dabbing it under the eye as well as at the corner of the eye to combat any visible crow’s feet. It’s best to keep your face immobile for about two minutes while the product dries. If you follow the directions, the results are astounding. You can watch as the wrinkles around your eyes disappear. If a white residue appears on your face after the application of any of these products, that means that you are using too much. To correct that, simply apply a damp wash cloth to the area to remove the excess. Derma Silk has recently added some new products and treatment lines to their range which I will be reviewing on the blog as well. All of these products are available online and are priced under $40.00.